This is a great blog, I did not know there was so much into Book Design. You have some wonderful designs there. I've been asked to make a few "web only" designs lately. Low-res, bad-photoshop = ridiculous. But, at least the job goes on the books & I can use this as an excuse when they say a design is "not web-readable enough!" Interesting that they still use the typical "book shape" for these images. Other online book retailers (Such as the iTunes audiobook store) seemed to have dropped the rectangle in favor of a nice square, which has spurred some interesting designs. I wonder if these non-cover covers really take off, how much design space is opened by the freedom to give a cover whatever dimensions you like. Imagine the web-cover of 2666 as a long, horizontally sprawling image (say, 1000x500), for instance. Ha Ha! 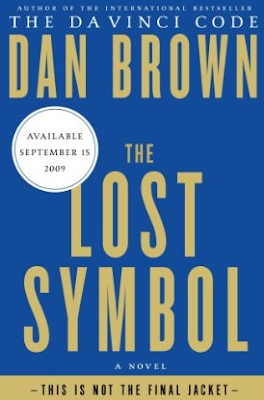 The benefit of the top cover is that for a Dan Brown fan, it saves money on the design costs because a cover really isn't necessary. And I could swear I've seen paperbacks with a cover just like that. 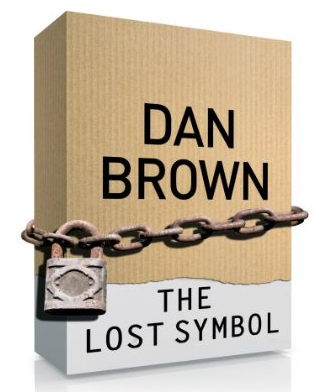 But for a person not familiar with Dan Brown, perhaps more is needed to entice. Dan Brown should write a book called "This Is Not The Final Jacket". That would be awesome. These things always annoy me. So, your multi-million dollar book is sooo super sekrit that we can't show the cover? Whatever. I think it's more that multi-million dollar books tend to have their publication dates announced far earlier than most books, pre-orders start earlier, etc. So Amazon needs *something* to put on their page. Another option could be that the publisher didn't/doesn't know enough about the content to design an effective cover. It's not surprising for a big title like this to come in so late in the publishing process that a stand-in cover has to be created. The publisher knows it has a hot item that it needs to start pushing right away. Create an instant not-cover and BAM! you've got an instant way to start selling your book, create buzz, and even get us talking about a cover that's not a cover. Not a bad way to start your sales history . . .